When you are searching for the perfect cup of coffee at home, there are a few tips which can help. If at the end of these your coffee hasn’t improved to something which you can call a spectacular cup, the only other alternative is to sign up for training, however, most of what you learn there is what you will find below. Good coffee costs that little extra, and there is no way to avoid that extra cost. Good coffee beans are the first step. If you can search out a local roaster, you can quickly grind your own. Why do we suggest you buy whole beans? 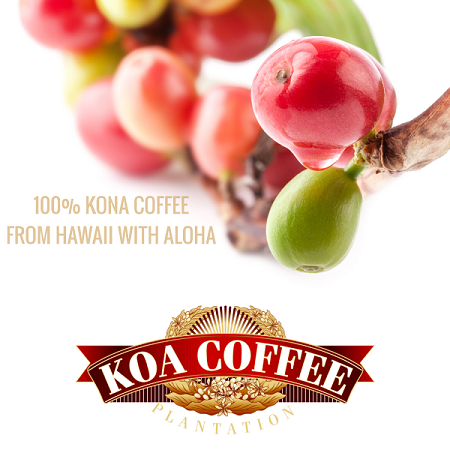 Whole bean coffee is fresher and contains more flavor. This might seem strange, but when you are seeking a perfect cup, you need to be exact as the weight of coffee will affect the taste by quite a margin. A good starting point is 90 grams of coffee beans for a 6 cup machine. Weigh before grinding and brewing. This makes a lot of sense. Grind what you need and when you are about to use them. This will keep it as fresh as possible. Ceramic containers might appear old fashioned, but they are the secret in keeping your coffee as fresh as possible. Coffee needs to be stored away from sunlight and ceramic is the ideal material to do this. As an aside, if you have been told you can freeze your coffee, avoid this as it can absorb moisture and this will affect the taste. If there is anything which can ruin the taste of a good cup of coffee, it is water. Filtered water makes all the difference in achieving the perfect cup. If you can’t lay your hands on filtered keep a pitcher in the refrigerator of water which has been heated to between 195 degrees Fahrenheit and 250 degrees Fahrenheit. If all methods of brewing coffee were equal things would be far more straightforward. Unfortunately, they aren’t so it isn’t. Every machine will be different in function, so until you find the ideal amount of coffee, you might have some trial and error on your hands. Hence the scale in a previous section. You also need to choose brewing methods which meet your taste preferences because the strength of your coffee won’t be purely the amount of coffee you use. As a guide, an automatic drip coffee maker will brew an even, mild pot of coffee. A French press, on the other hand, will provide a much bolder and darker flavor. Coffee beans contain oils which can stick to your coffee pots and equipment. If these aren't washed after each use, the oil will remain, and this oil will affect the taste of your next pot of coffee. Machines which aren’t cleaned on a regular basis will begin introducing a burned taste to each pot of coffee which follows. If you had barista training on making the best cup of coffee possible, this might be the one area where you can learn more than reading. Knowing your coffee beans is essential. A good example being coffee beans from Africa, and these are generally dark and more acidic. This is compared to beans which are from South America which are less acidic and produce a medium roast so they won’t be as strong. On top of this, you have the most common bean in the world Arabica followed by Robusta which makes up the majority of the remaining market. There is another which makes up 3% of the global market and is known as Liberian Coffee. To keep up with demand, there are many variants so what you get might not be a pure strain as you first expect. This might seem stranger than everything else. You are aiming to make a perfect cup of coffee, and the last thing you learn is to flavor it with spices. A lot of places use syrups. However this is basically sugar, so it is best forgotten. You can, however, use a piece of dark chocolate or topping it with whipped topping and sprinkling it with ground nutmeg or a crowd favorite, cinnamon. Another way to raise the level of your coffee is by steaming your milk. You can easily purchase a home milk frother, or you can easily find a method by using the microwave. A great cup of coffee can be in anyone’s grasp without spending a fortune on equipment. It is much better to save the money and use it for a better quality coffee bean.